When visiting Whitefish MT, discover unique and comfortable rooms in one of the many Whitefish Montana Lodges. Each Whitefish Montana Lodge is different in its own unique way, but all are refined and cater to your satisfaction with gracious hospitality. These beautiful lodges range from economy to full-service resorts. Luxury lovers will appreciate our upscale amenities like stainless appliances, King beds, and granite counter-tops within our 5 multi-room suites in downtown Whitefish. Come relax in a cozy B&B ranch suite, cabin suite or GLAMPING TENT. All offer unique amenities and features. 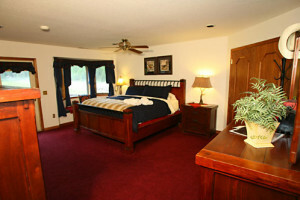 Lodge rooms are plush with upscale bedding & furnishings. 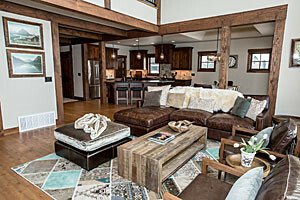 Upscale lodge rooms and condo suites at our slopeside hotel on Whitefish Mountain. Convenient on-site restaurant, bar & hot tub. Select from lakefront condos, upscale lodge room suites and hotel rooms, supported by fine dining, lounge, event space, on-site Spa, concierge, winter activities and more. A cabin, condominium or a lodge - the choice is yours. Get a true Montana experience near Bigfork and the Flathead Lake. Rustic and warm retreats. A comprehensive list of lodging around Fernie - from ski lodges, hotels, motels, family friendly condos and homes. Let CRC Central Reservations plan your Fernie stay. Week-long luxury Montana vacations for groups and families. Log lodges & cabins along the shores of famed Flathead Lake. Fine dining & fun activities. You'll marvel at our 8000 sq.ft. main Log Lodge for entertaining, plus separate suites & cabins. An ideal wedding venue for upwards of 50 guests (sits on 20-acres). Our B&B lodge features multiple options to save money and enjoy great accommodations. From off-season rates at $49.50/pp, to romance & ski packages. Bring your pet, park your RV and unwind in one of Ksanka Inn's 30 clean, comfortable rooms, located in scenic Tobacco Valley. Quaint Bed & Breakfast nestled at the base of the Swan Range and surrounded with wilderness. Private-entry guest rooms, family room with satellite TV. The Ninepipes Lodge is a Motel, Restaurant, Lounge and Trading Post located on Highway 93 in the Mission Valley of Northwestern Montana. A beautiful family resort in NW Montana, offering group & wedding venue, cabins for nightly accommodations and daily included continental breakfast. Luxury accommodations located minutes from Whitefish near Stillwater Forest. Hiking, mountain biking and miles of groomed cross-country skiing trails. Only 2 miles from the Flathead lake set in the mountains the five bedroom log cabins has a rustic Montana Feel mixed with the perks of modern amenities. Hold a retreat, family reunion, wedding or rent one of the 2 lodges for family vacation. Both lodges hold up to 30 people combined. Just 8 miles from Whitefish, enjoy our 19-acre property complete with nightly lodging, tent sites w/access to forested bike trails. SUP rentals on the lake too.